Hello! How was your weekend? 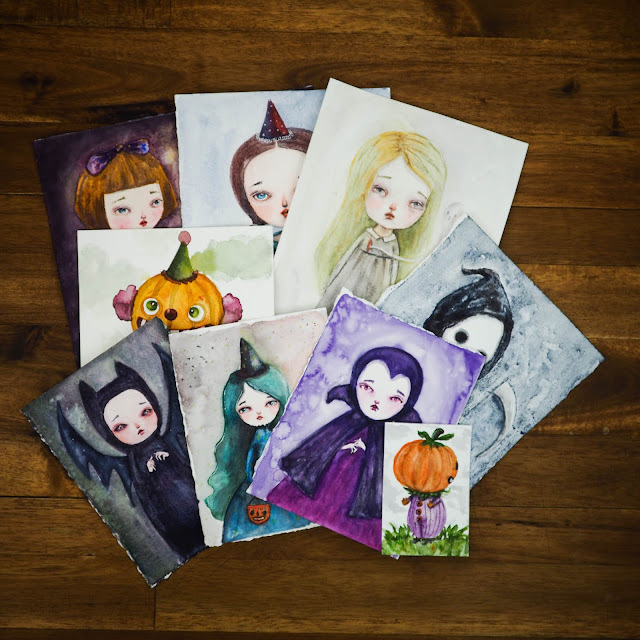 Mine was super busy updating my shop with the prints of my newest paintings now on fun ACEO sizes and already mounted on wood so you don't have to make a thing. Just open the box, and it's ready to hang or display in a flat surface! How cool is that? 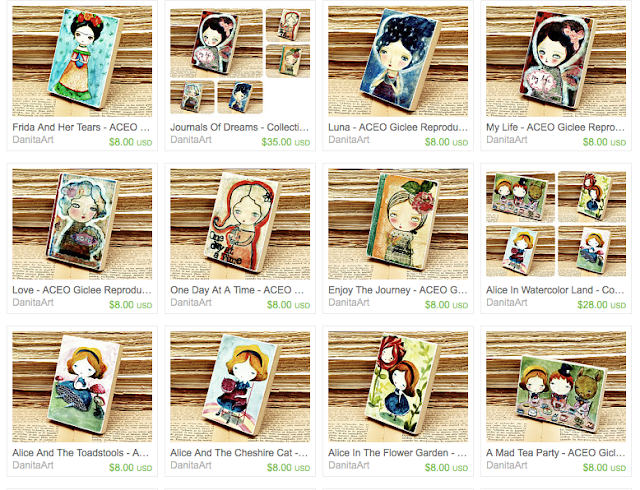 I even made some sets with a discounted price for buying them together: Instant collection! Take a peek and make your picks here! So excited! Just ordered 3. Thank you Danita, for your lovely art. It's just beautiful. love this size....I have an empty space between the door jam and the next door that could use some sprucing up! The calendar is perfect for monthly scrapbook pages of family events after use! Awesome art! Thanks for adding blondes and red-heads!